The Slavs sing with the Alumni of the Yale Russian Chorus! We’re thrilled to announce an upcoming concert — we’ve been invited to sing with the Yale Russian Chorus Alumni Association next week: Sunday, November 10th, at 2:30PM. 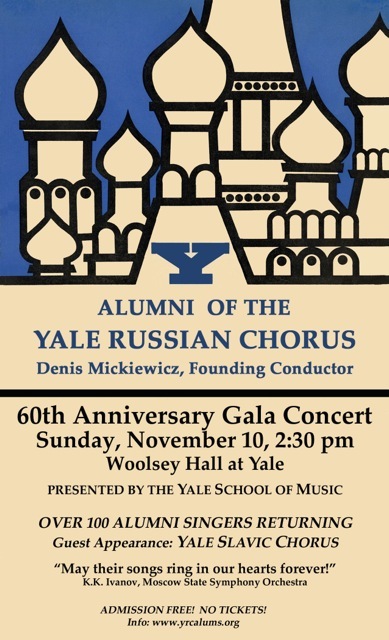 Join the alumni of the Yale Russian Chorus in Woolsey Hall for their 60th Anniversary Gala Concert, featuring over 100 men’s voices in Russian Liturgical, Folk, and Composed Song. We hope you’re as excited as we are!